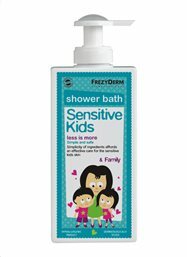 FREZYDERM knows that a child’s skin can become easily irritated or allergy prone. To help you care for your family’s naturally delicate skin we developed our Sensitive Kids range. All Sensitive Kids products are free from: Parabens, colour, allergenic fragrances, gluten, SLES, PEG, silicones, soap mass, sulphides, alcohols.